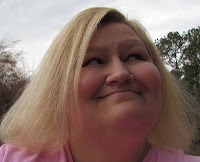 Just found your blog and have had fun getting to know you and your hobbies. This is a very sweet pic of your cat. I have two, one is a climber and we find him in the oddest places! I notice you are a Gone With the Wind fan. Me too! Oh my goodness, is that ever cute! Wish I could have an indoor kitty!